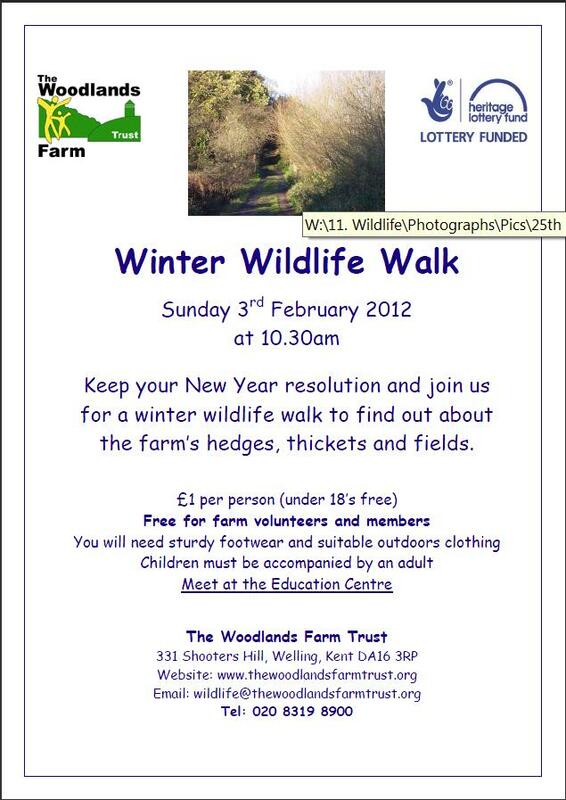 Woodlands Farm seem to be very busy organising events for the public. I’ve received three communications from them recently, two about conservation related events and one about activities for children during the February half term break. Hannah, the farm’s Education Officer, sent me details of the half term activities. Her e-mail included the flyer below and the activity details. Did you know that felt is made from sheep?s wool? 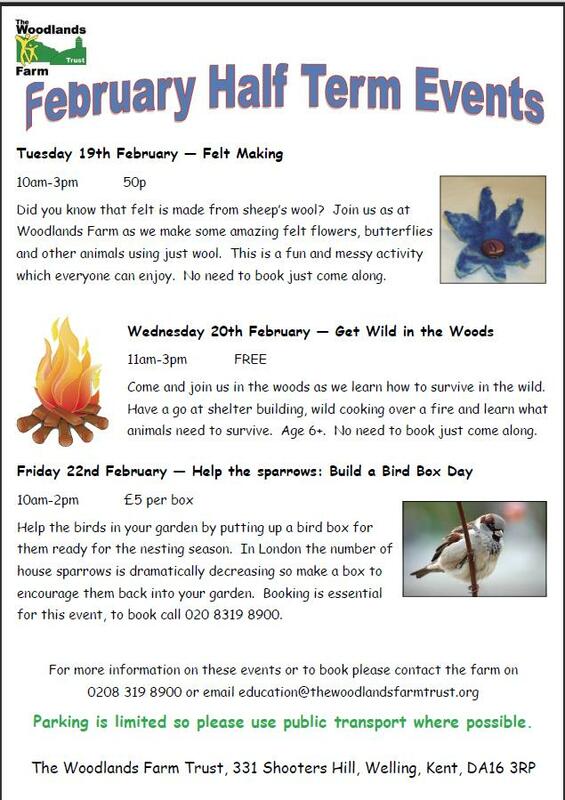 Join us at Woodlands Farm as we make some amazing felt flowers, butterflies and other animals using just wool. This is a fun and messy activity which everyone can enjoy. No need to book just come along. Come and join us in the woods as we learn how to survive in the wild. Have a go at shelter building, wild cooking over a fire and learn what animals need to survive. Age 6+. No need to book just come along. Help the birds in your garden by putting up a bird box for them ready for the nesting season. In London the number of house sparrows is dramatically decreasing so make a box to encourage them back into your garden. Booking is essential for this event, to book call 020 8319 8900. Woodlands Farm is located on the borders of the London boroughs of Bexley and Greenwich. At 89 acres, it is the largest city farm in the UK. Our priorities are education and conservation, and we are part of the Natural England Higher Level Stewardship Scheme. Our education programme attracts visitors from pre-school to third-age groups. The Trust aims to involve local community groups, schools, volunteers and businesses in farming and conservation, helping to bridge the current town-country divide. We are open 9.30am-4.30pm, Tuesday-Sunday (except Christmas Day). There is no entry charge except for special events, though donations are always welcome. 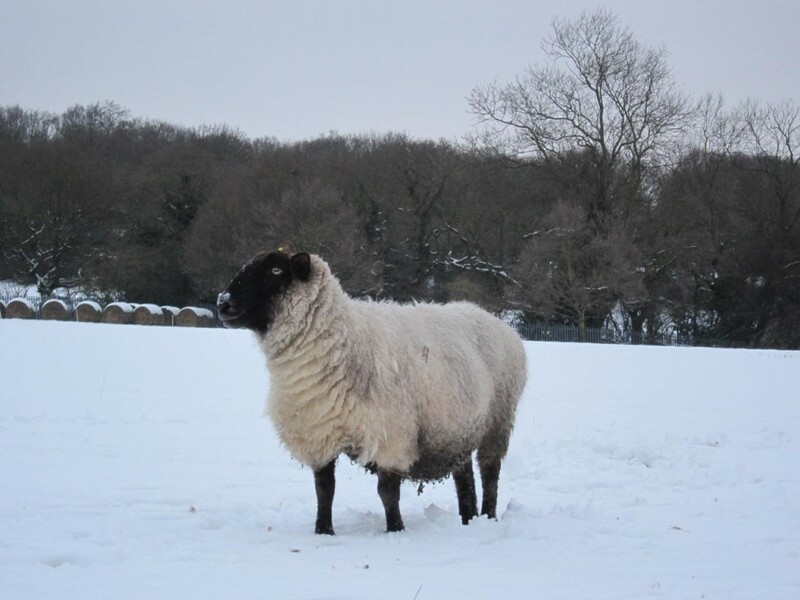 I also received information from Lorraine, the farm’s Wildlife Officer, about a Winter Wildlife Walk to find out about the farm’s hedges, thickets and fields which is scheduled for Sunday 3rd February 2013 at 10.30am, and future Conservation Workdays at the farm. 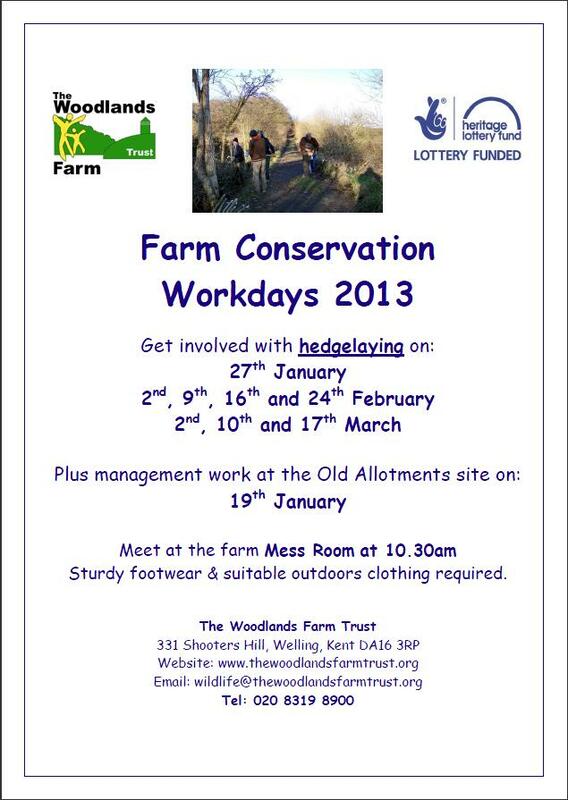 The workdays will provide an opportunity to get involved with hedge laying. 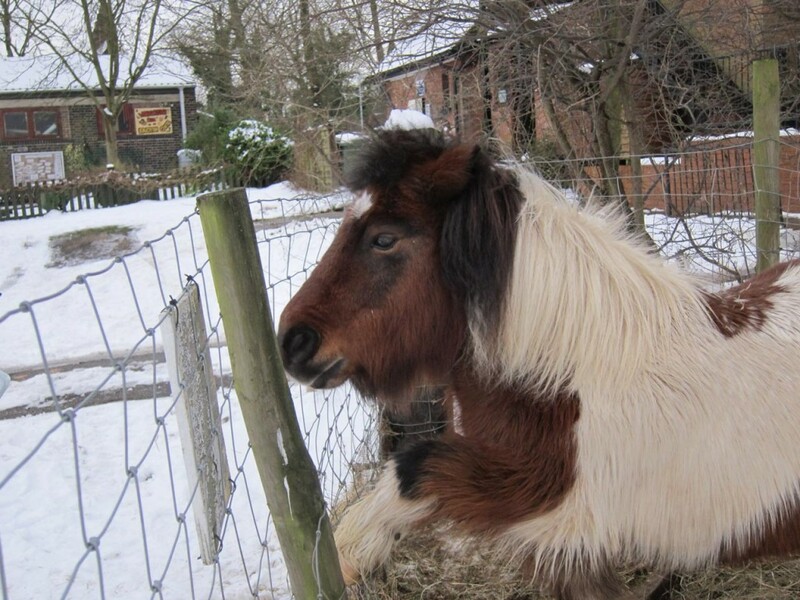 The farm is covered in snow at the moment, and a lot of the animals are in the barns. Even Aerial the farm cat is snuggled into the hay for warmth. 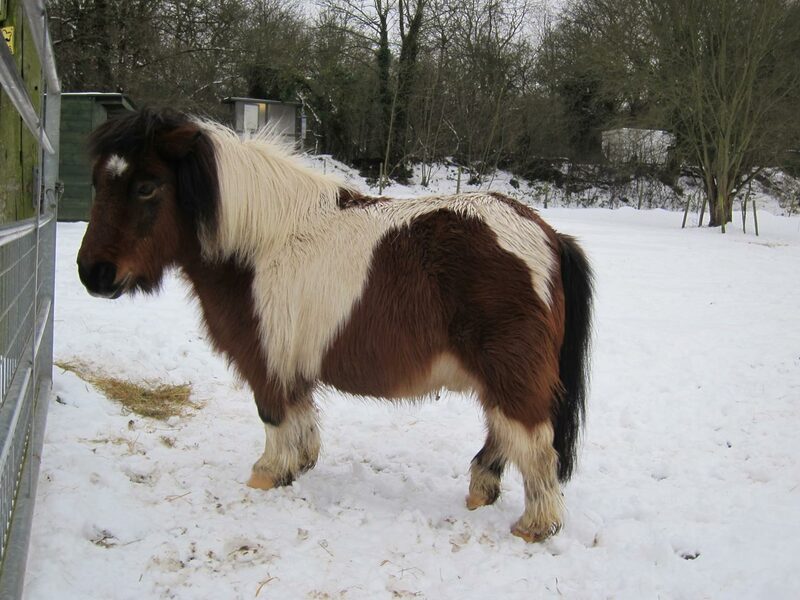 I’m glad to see that a shelter has been built for Bob the pony so he can get out of the cold, though his thick coat should help keep him warm.